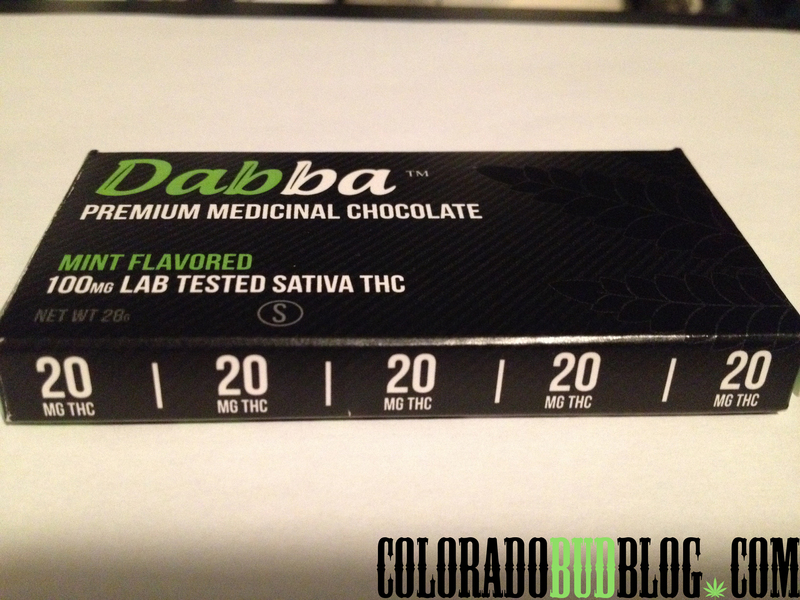 Today we are reviewing The 100MG Lab Tested Sativa Premium Mint Chocolate Bar, From Dabba Chocolate. Made in Denver, Colorado. Offering that classic taste and texture of a Chocolate Andes Mint bar, infused with H2o Extracted Hash, sure to satisfy the needs of any health conscious consumers. This tasty 100 MG Sativa Mint Chocolate gives you an energetic buzz that offers hours of medicinal relief. 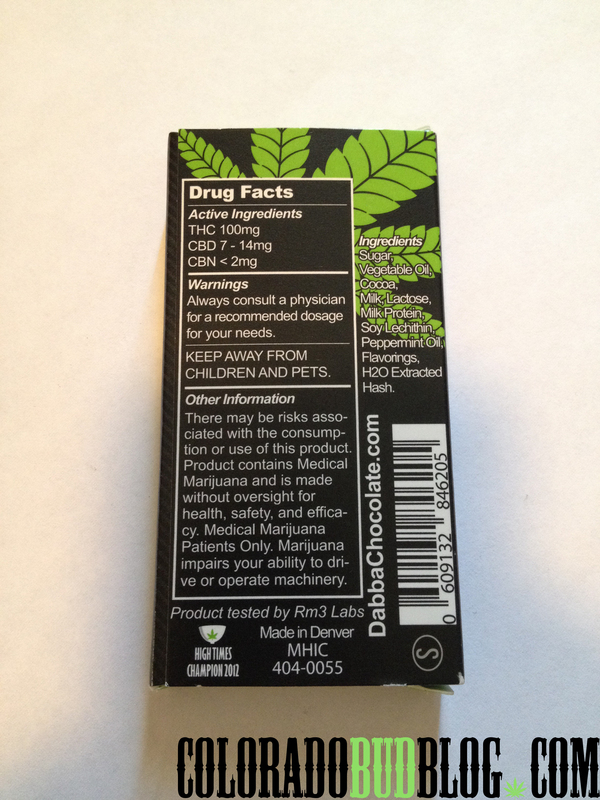 It contains 100MG of active THC derived from organic Cannabis Sativa. It contains a generous 7-14 MG of CBD within the chocolate as well. Dabba Chocolates uses Rm3 Labs to test all of their products to ensure quality. It can be dissected into 20MG pieces to find your comfort zone, or consumed as a whole. This Premium Lab Tested Mint Chocolate offers plenty of functionality with your daytime activities, and will put a huge smile on your face. I highly recommend this edible to anyone looking for a great tasting chocolate with an exceptional Sativa effect. You can definitely use this product to tailor your day, with comfort and functionality. 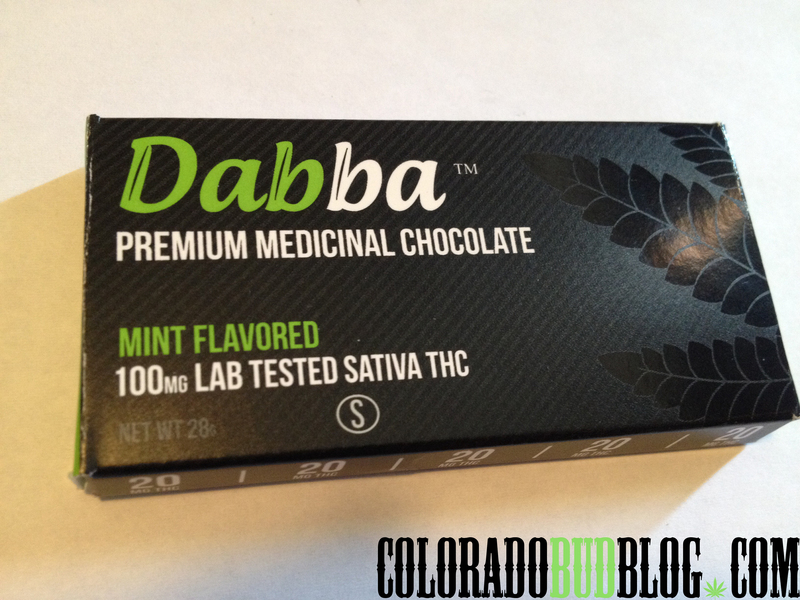 With this Sativa specific product, Dabba Chocolates comes through for your daytime needs. 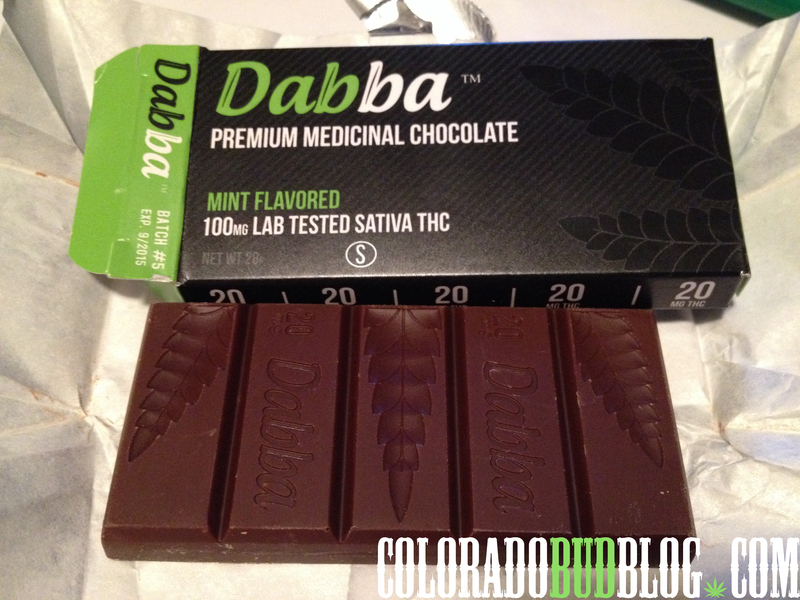 Dabba Chocolates offer other great selections of medicinal chocolates as well. 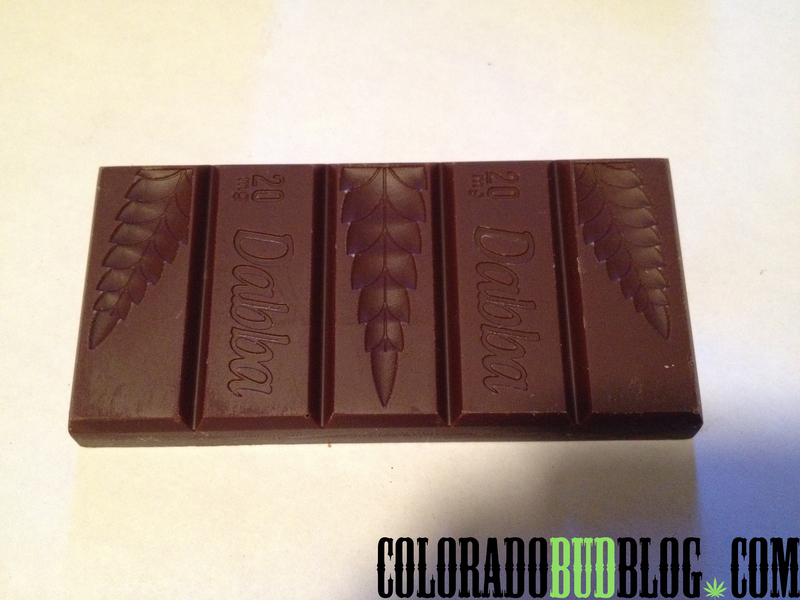 Be sure to check out their website at www.dabbachocolate.com , and visit your nearest dispensary to give them a try. This entry was posted in CBD, CBN, Dabba Chocolate, Edibles, Pagosa Organic Therapeutics, Solventless, THC, Uncategorized and tagged Cannabis Sativa, chewberto420, Dabba, Mint Chocolate, Premium Mint Chocolate Bar. Bookmark the permalink. ← FINALLY trying out some “Essential Capsules”!